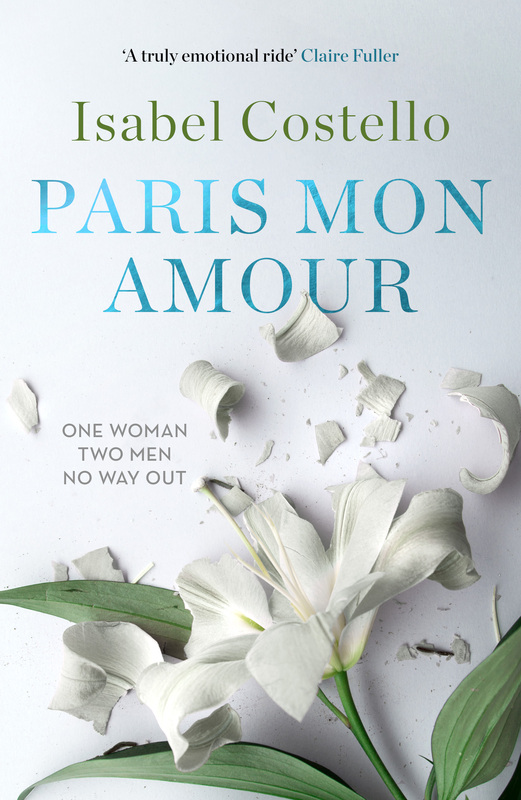 Isabel Costello is to release a paperback edition of her debut novel Paris Mon Amour on 22 May under a new Literary Sofa imprint, building on the identity of her popular book blog. Paris Mon Amour is a story of desire, betrayal and devastating loss, in which 40-year-old Alexandra embarks on an intense affair with Jean-Luc, the much younger son of her husband’s best friend. It was first published in ebook by Canelo in June 2016, and in audiobook by Audible. The latest development is in response to demand from readers and interest from bricks-and-mortar retailers. Huge thanks once again to everybody mentioned above, to my readers and fellow writers and bloggers who got behind the book in such an amazing way on its first release. And to everyone who lobbied relentlessly for a paperback – YOU GOT IT! Great news. Now you can sign a copy for me! How exciting! Go Isabel, go!!! Oh, I am – all guns blazing! Thanks for your unstinting support, Helen. Happy to say I’ve been hearing that a lot, thanks so much! Thanks, Jen! Like you, found it impossible to resist the call of print. Well done, Isabel, such an exciting development and a logical step on your excellent blog. Many thanks, Anne, that’s very kind of you! Well this is jolly thrilling! And your own imprint! Triply impressive, m’dear. Very much looking forward to this. Congratulations and all power to your pen. Thanks for being one of my ‘print petitioners’, Susan! Thank you, Wendy. It’s true that will be a wonderful moment for me! Thank you so much, Raven, and I’m sorry I didn’t reply to all comments at the time as I’d intended. That is a wonderful thing to hear on both counts! thats tremendous news Isabel – how you managed to keep this under your hat for so long I can’t imagine. I took the e-e-book with me intending to read it during my hospital stay but never got anywhere near it. Dont worry though I am earmarking this for next week to coincide with St Valentines Day….. Thanks, Karen, it wasn’t easy! But so pleased to share the news at last. Also: hope you are recovered and that you enjoy your (somewhat risky) Valentine’s read! Looking forward to buying the paperback. And the literary sofa imprint of book crossed with sofa will look great on the spine. logo, which originated in my drawing on the back of an envelope! I’m late to the party but this is great news – particularly as my eBook copy is languishing with the very best of intentions on my iPad Kindle but, try as I might, I just can’t get over there to read the few eBooks I’ve bought. I’m a bath book reader and I don’t think that’s ever going to change. Still, I’ll be the proud owner of an eBook and paperback version of Paris Mon Amour – can’t be bad! Well done, Isabel.